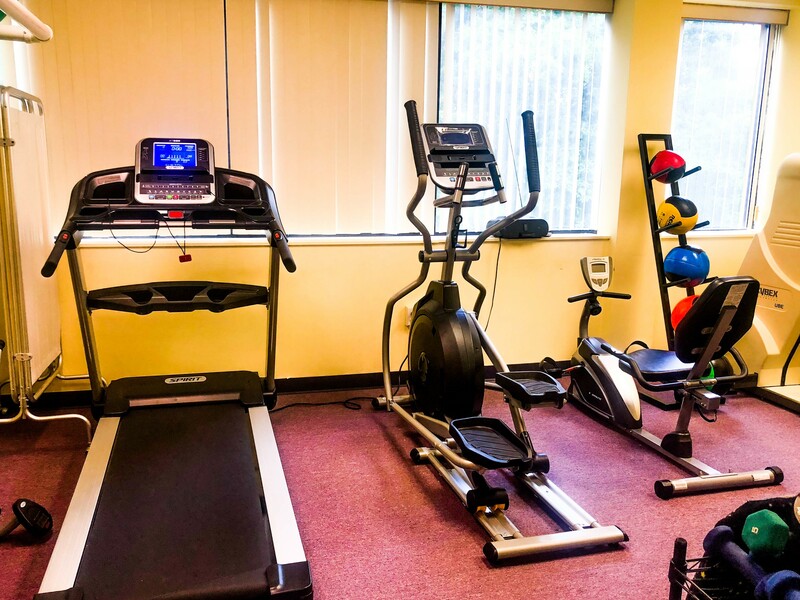 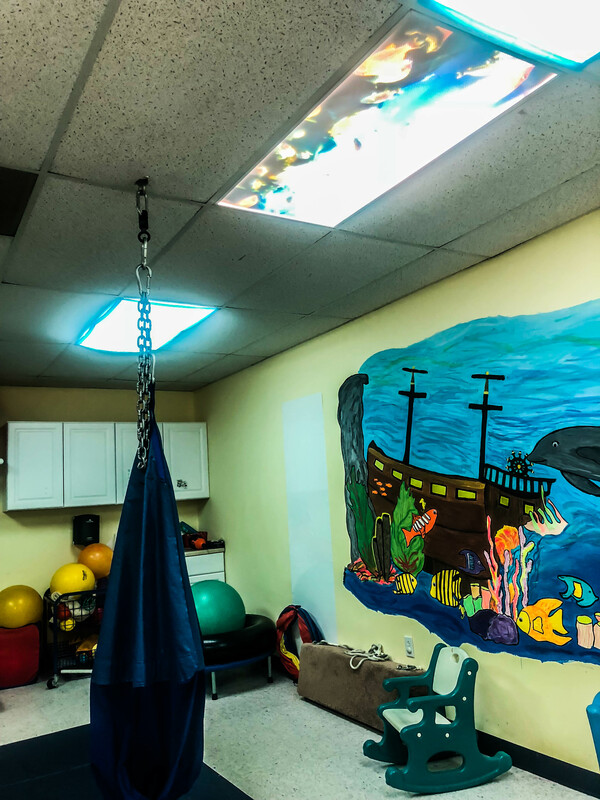 A separate and private adult therapy space that provides the opportunity for strengthening, gross motor coordination development and endurance building. 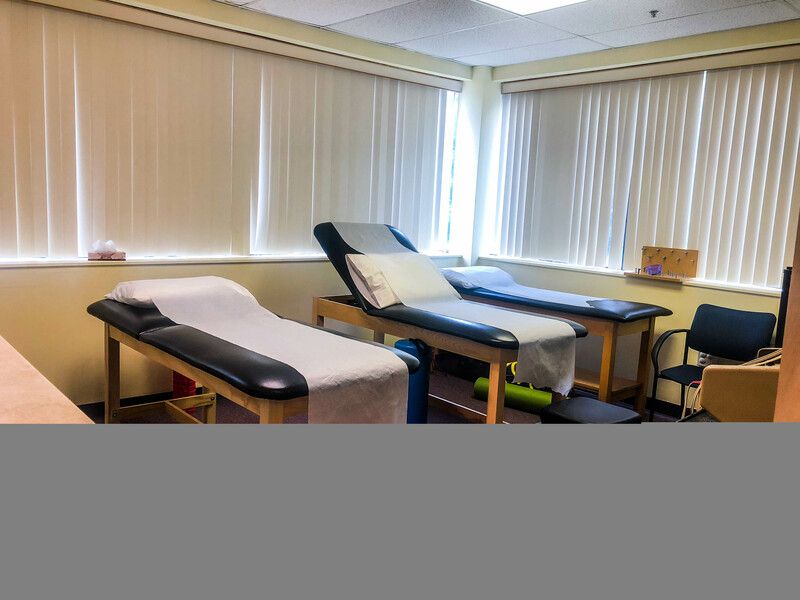 Allows for comfort, relaxation, positioning, soft tissue mobilization, use of modalities and specialty manual therapy techniques. 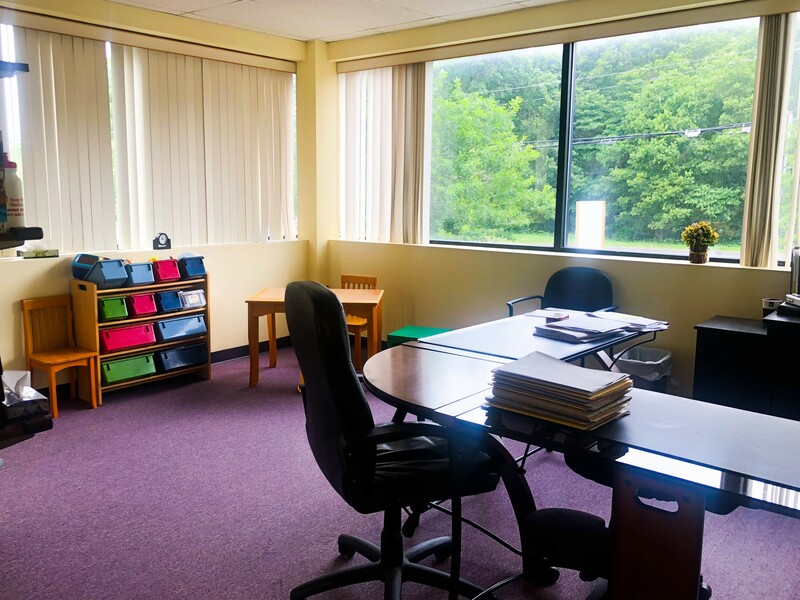 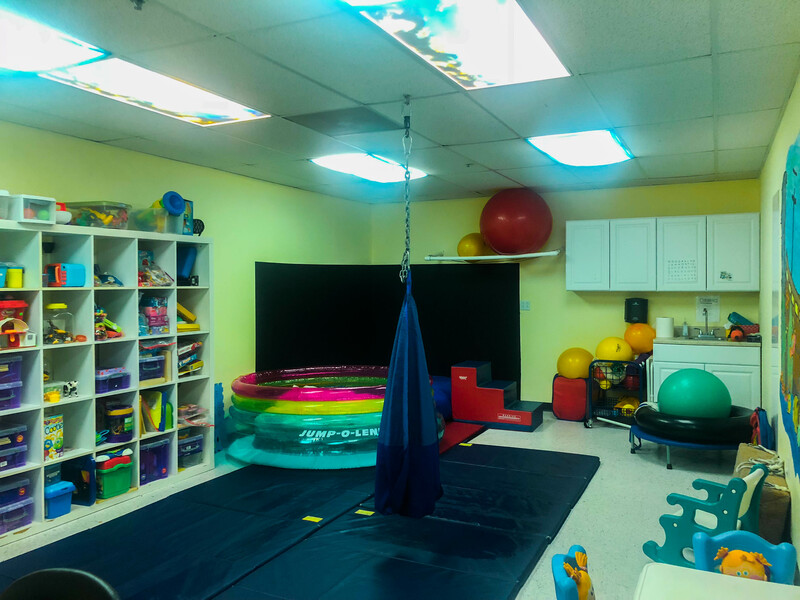 A private venue for pediatric and adult patients to use with the development of articulation, cognitive linguistics, executive functions and auditory processing. 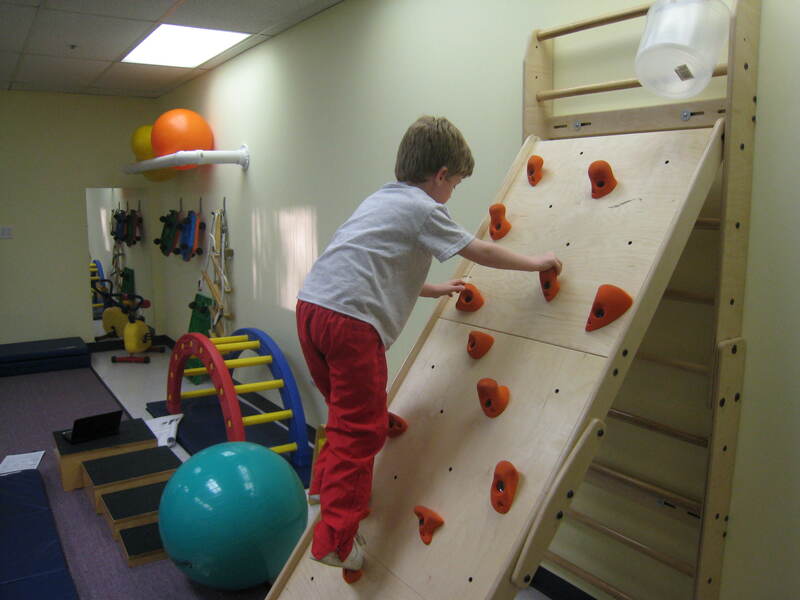 Supports activities involving dexterity, manipulatives, handwriting ADL’s and visual motor skill development. 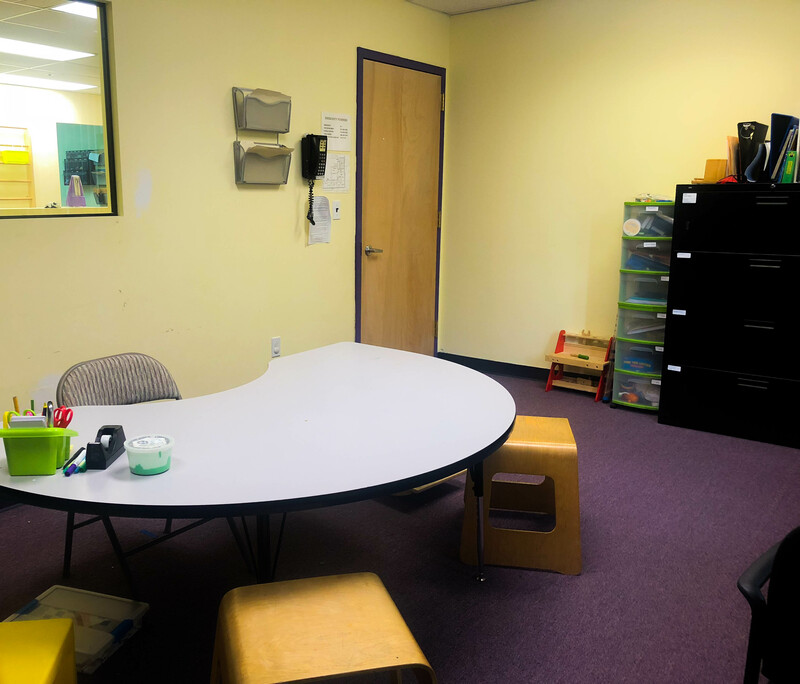 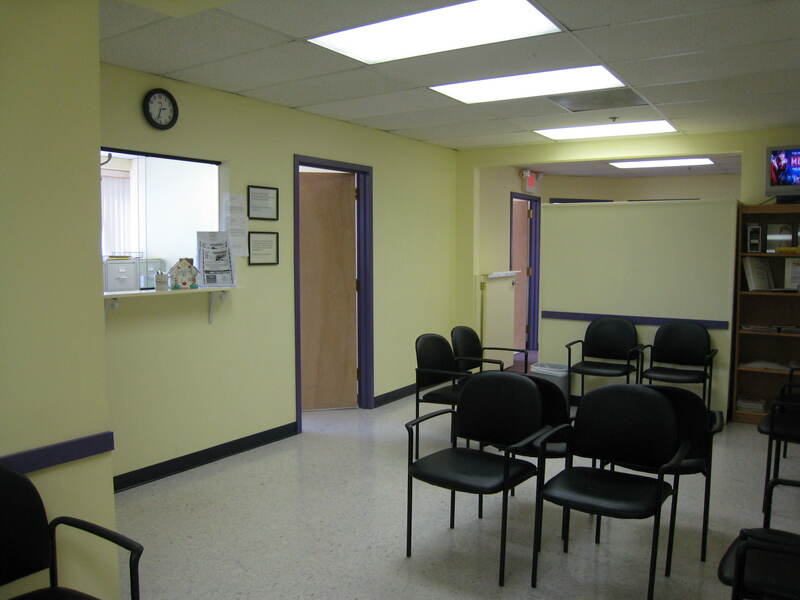 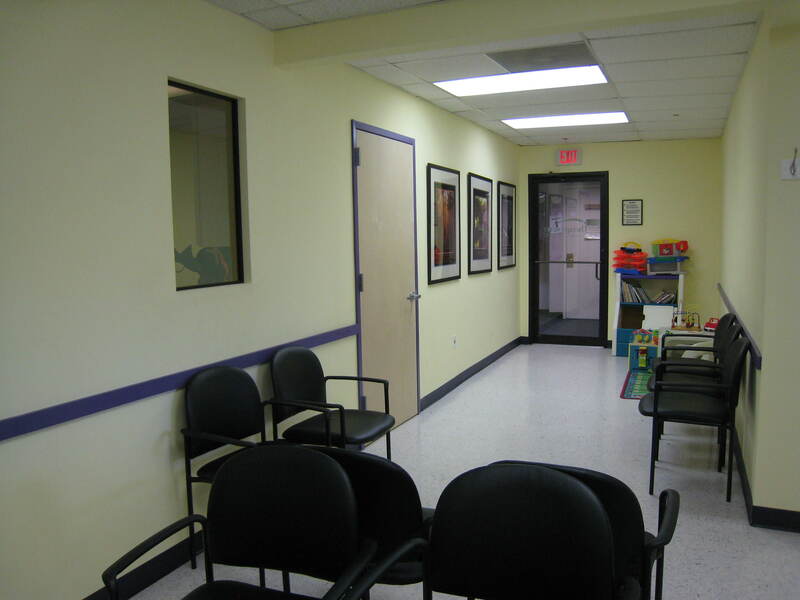 It is also a private evaluation room and our viewing window allows parent and caregivers to observe, without distraction. 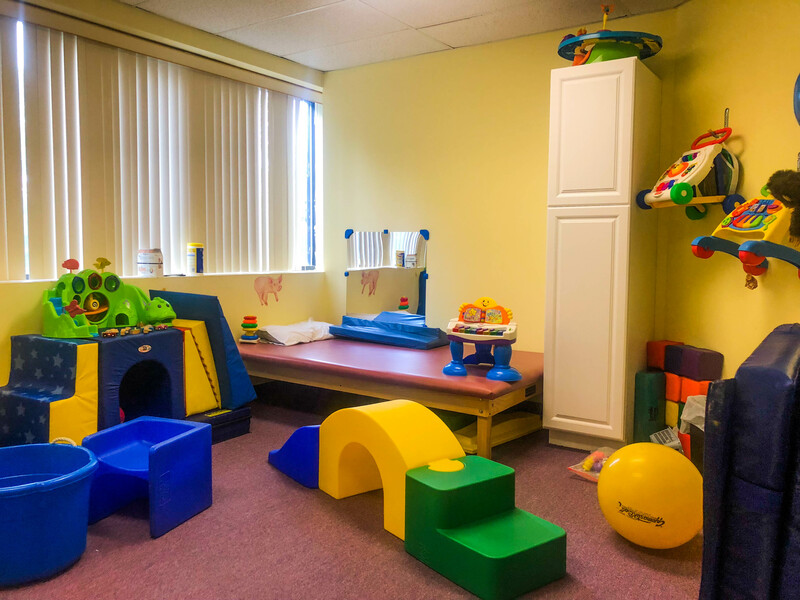 Designated for infants and toddlers, treatment services can facilitate mobility, fine motor manipulatives and helping infants through preschoolers achieve developmental milestones. 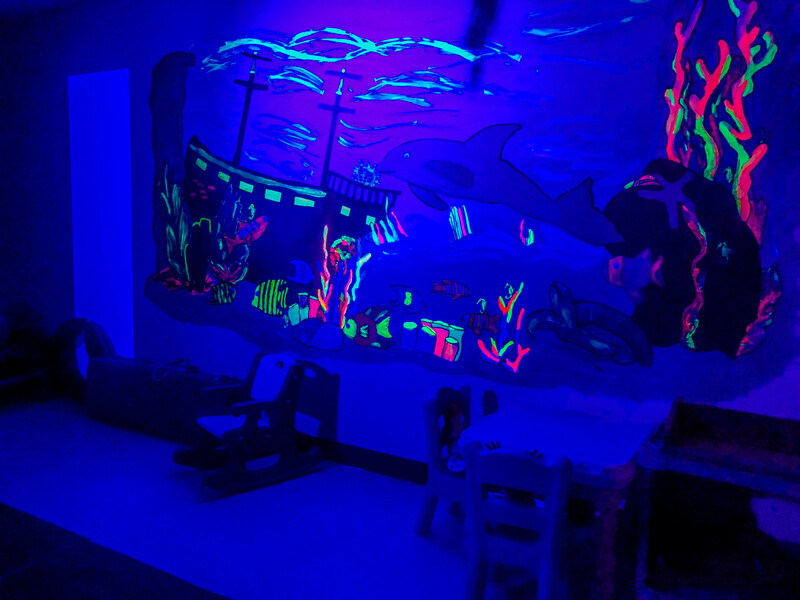 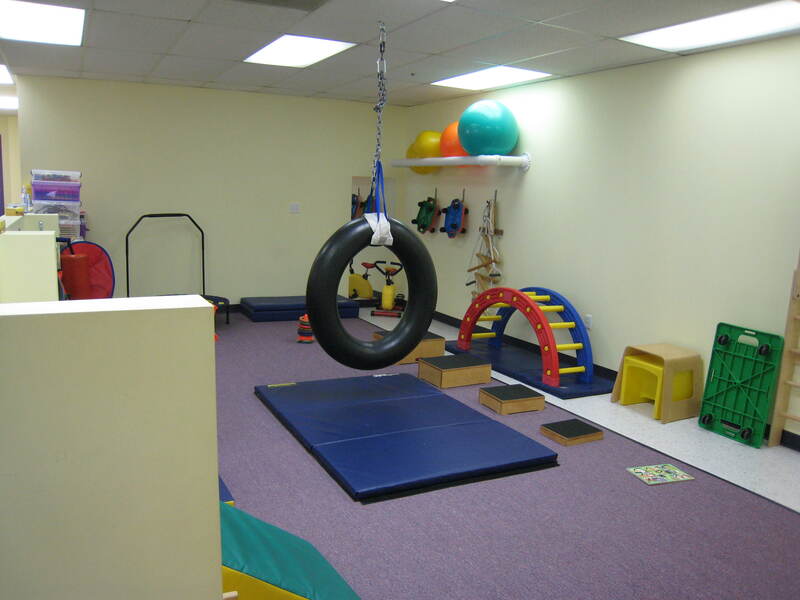 Our newly renovated sensory room provides a multisensory experience to help an individual regulate and integrate information from the environment with the use of equipment such as: swings, crash mat, ball pit, a touch wall, trampoline, calm overhead light cells, adjustable sound tones, sensory bins and changing visual effects. 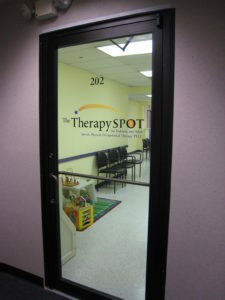 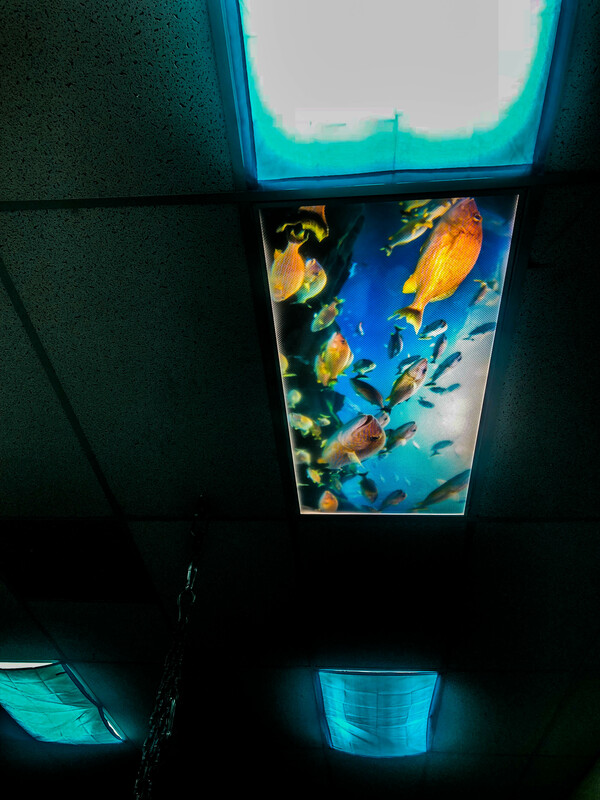 Our one- way window allows parents and caregivers to view therapy without distraction. 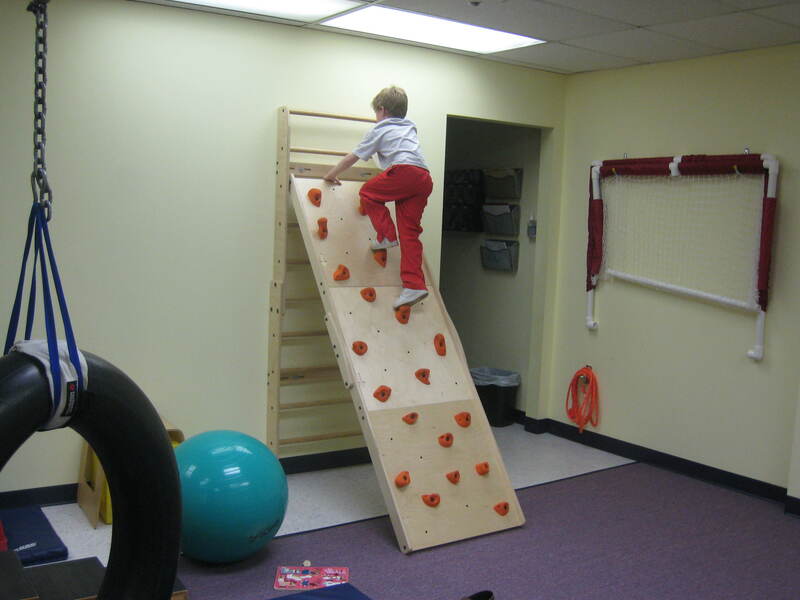 This room creates the opportunity to emphasize balance, coordination, movement, gait patterns and body awareness through space using equipment such as: swing hook-ups, tunnels, stairs, an adjustable rock wall, and scooters.